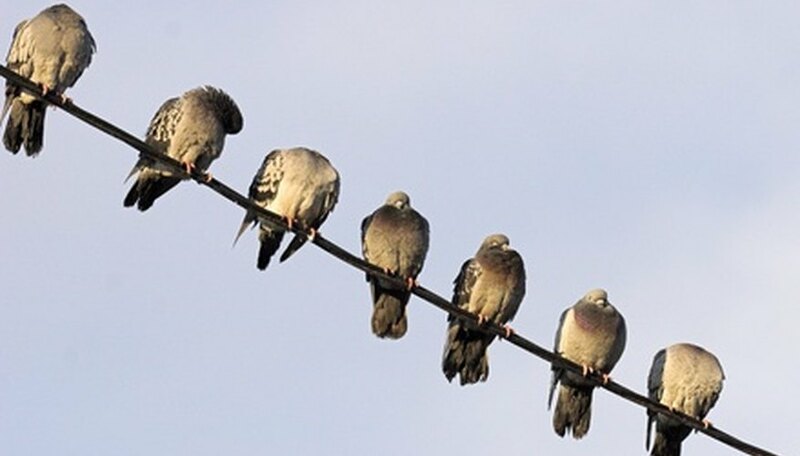 Why Do Birds Sit on Electrical Wires? Anyone who has ever hoisted a child on her shoulders to see over a crowd will understand why birds sit on electric lines. Electric lines are strung high above the ground in a corridor cleared of brush and trees. From such a perch, birds can see much farther than from the ground. A long, clear view helps keep a hunted bird safe and a hunter bird busy. Bird feet are built for perching. Most birds have four toes, the first one pointed back, which makes them able to grip stems and twigs. 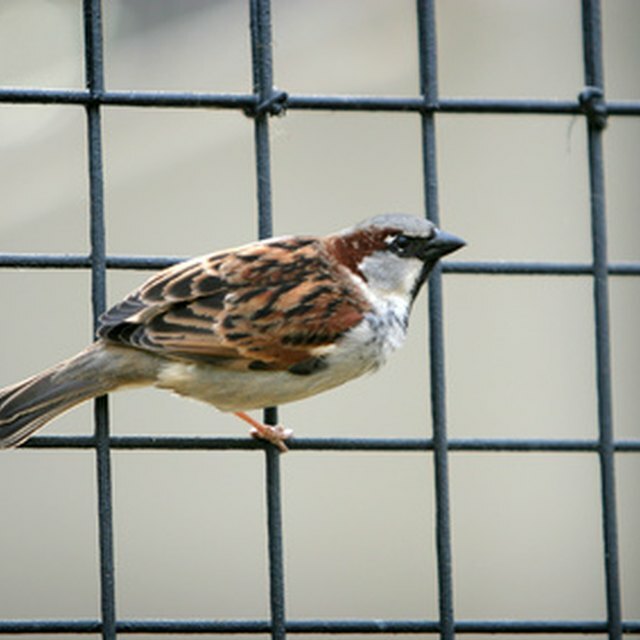 When a bird perches, it tightens a tendon running the length of the foot. The tendon has projections that mesh together, pulling in the bird's toes and effectively locking them to the perch. With over 100 billion adult birds on the planet at any one time, it is little wonder they are on the lookout for available perches. As trees are cut and brush cleared, birds turn to whatever perches are available. Electric cables can be found throughout the civilized world. 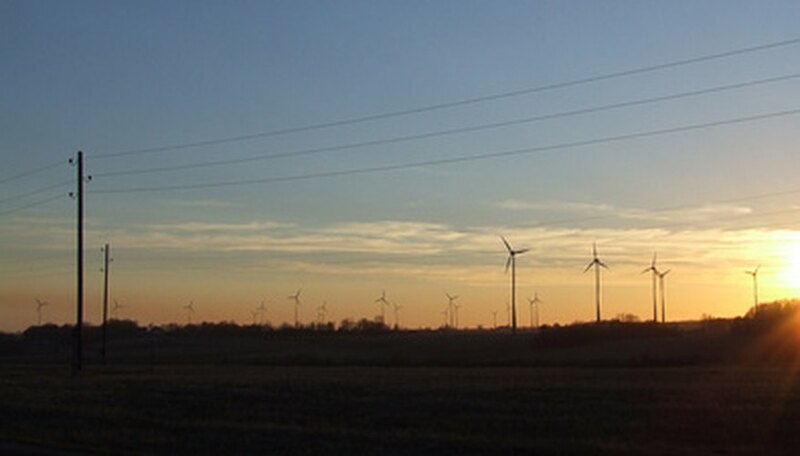 As of 2000, 517,000 miles of high-voltage transmission lines and hundreds of thousands of additional miles of distribution lines crossed the U.S., according to the Edison Electric Institute. Since the cables are the appropriate size for bird toes, their availability encourages regular bird perching. Small birds perching on electric wires are fairly safe. A bird will get shocked only if it touches a ground wire while in contact with the high-volt wire. 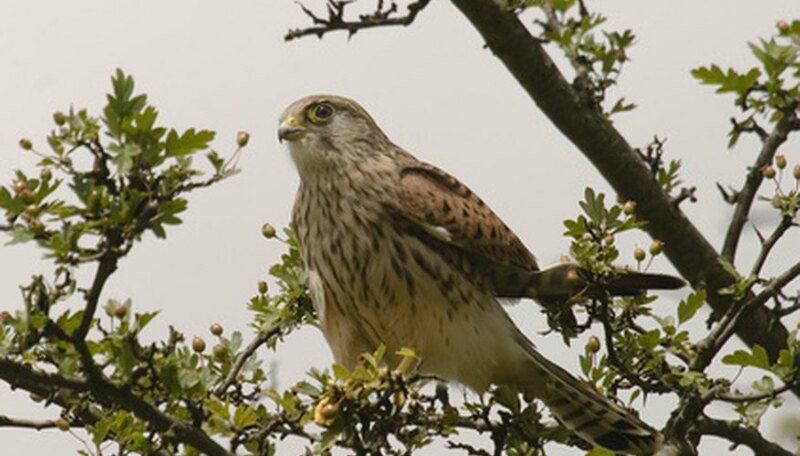 Most birds are too small to connect with the two wires at the same time, although electrocution is a real danger for raptors and other birds of large wingspan. The U.S. Fish and Wildlife Service works with utility companies to adopt guidelines to protect birds at risk from electrocution. These include framing poles with sufficient spacing to accommodate large birds, retrofitting power lines, installing wire covers to neutralize energized parts, and installing anti-perching devices. What Adaptations Enable Toco Toucans to Live? Spengler, Teo. "Why Do Birds Sit on Electrical Wires?" Sciencing, https://sciencing.com/do-birds-sit-electrical-wires-6592687.html. 25 April 2017.